You'll be £19.99 closer to your next £10.00 credit when you purchase Special Relationships. What's this? In this highly readable but completely unconventional book Asa Briggs, writer, lecturer and professor, wellknown on both sides of the Atlantic, goes back in time to his own hometown, Keighley in the old West Riding of Yorkshire, now incorporated in Bradford. He describes how he got his unusual name, a question often put to him, and considers whether having been born in an industrial town surrounded by moors has shaped his writing and his ideas of history. He has been a pioneer in many fields of history, particularly the history of the Victorians and the history of broadcasting, and in this book he traces what he calls special relationships which have inspired his writing in those and other fields, including the history of wine and of sport. A great traveller with a strong sense of the visual, he lists Leeds, Birmingham, Chicago and Melbourne among places that figure in his own map of learning, a term that he was the first to use. He also speculates on time travel. Jim Callaghan, Denis and Edna Healey, Richard Crossman, John Fulton, Jennie Lee, Denys Lasdun, Penelope Lively, P. D. James, Geoffrey Heyworth, John Sainsbury and his neighbour in Scotland who, alas, died young, Alistair Grant. The last chapter deals in detail with his birthday year and with the 50th anniversary of the University of Sussex and the 40th anniversary of the enrolment of the first students in the Open University, but the book as a whole offers a portrait of an age. The tree on the front of this dust jacket is more than symbolic. This book ends not with people or with places but with trees. This joins together lively autobiographical reflections with reminiscences of some of those Briggs knew over a very long, richly varied, pioneering and successful career as academic historian and university administrator. His quintessential provincialism and global interests and connections are neatly juxtaposed. Asa Briggs admits to being a 'bit of a Victorian' and his monumental productivity as scholar, author and doer of good public works would have won him the plaudits of a Prince Albert or a Gladstone. But dip into almost any page of his latest book and you will encounter the warmest and most endearing of high achievers, a cheery polymath equally at ease whether discussing the domestic ephemera of our predecessors with a bunch of students drinking fine wines at Glyndeborne or talking high finance with business moguls and government ministers. Special Relationships is not an autobiography, though the main outlines of Briggs' career and achievements are sketched during the course of its pages. Rather, it is a sequence of engaging recollections and reflections recounted in old age by a man who, it seems, has known everyone of consequence over the past 60 or 70 years and visited almost everywhere on the planet. 'All things connect' says Briggs in a book that reads like the conversation of an enthusiastic drinking companion, moving easily from topic to topic, place to place, friend to friend. Special Relationships exudes a larger-than-life bonhomie, recording the sheer enjoyment of a career that has embraced academic administration, educational policy-making and social activism as well as books. Writing with warmth, humour and great insight, he considers how places figure as much as people when we recall special relationships. 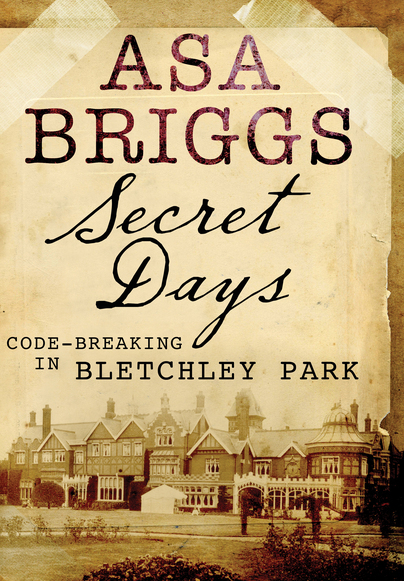 Special Relationships looks back in affection at other areas of Briggs's varied life, from his childhood in Keighley between the wars to his later globe-trotting as an academic historian and educational expert. What is striking in his autobiography is the breadth of his interests and activities, which include collecting Maoist ceramics. Not for Briggs the chasm between the "two cultures" identified by CP Snow, one of his Cambridge mentors. But despite his multifarious public activities since the war, it is his secret role during the conflict of which he is most proud. 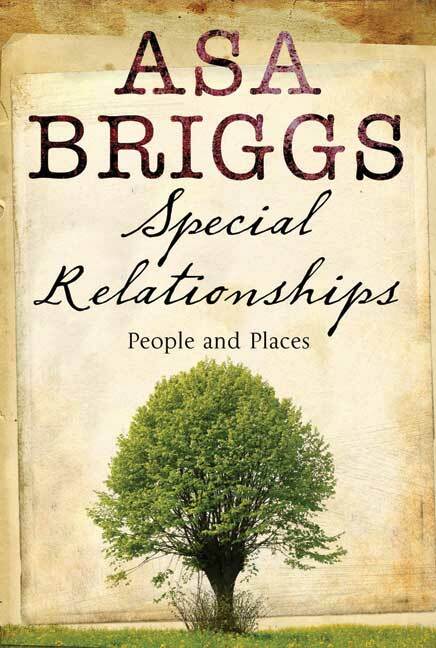 In this highly readable book, Briggs considers the relationships of his life.